After five long days during which the riders of the KSWT just could not catch a break when it came to the wind, today, on the final day of the event window, their prayers were answered. The El Nortada winds arrived and the comp was on! 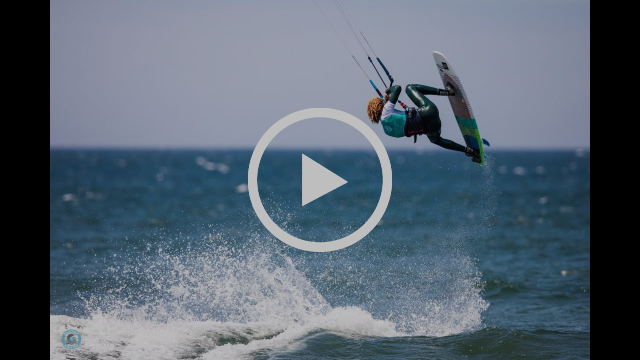 Watch the wrap-up video here, then get the full run down below as well as results. 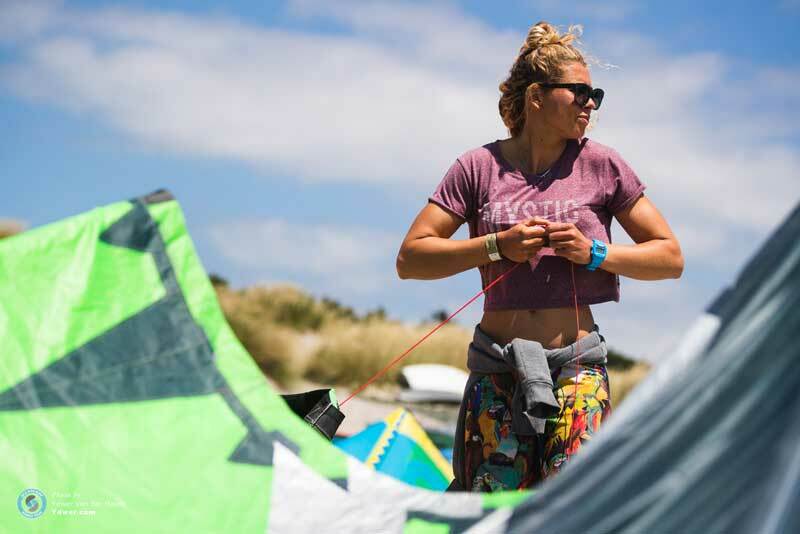 The day began with a light northerly and very minimal swell so the decision was made to focus on 100% strapless freestyle with the women’s single eliminations kicking off first. 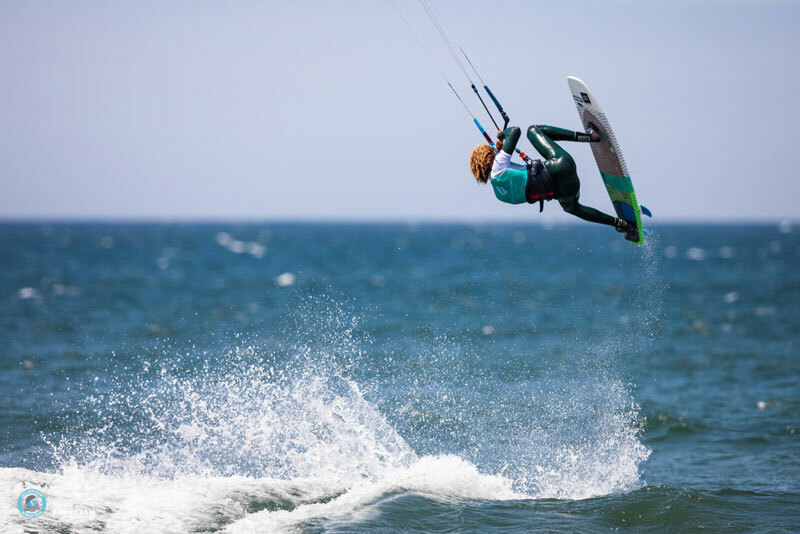 This was going to be a challenge for some of the women as not all of them have been regularly training in strapless freestyle but those who have rose to the challenge, setting themselves apart from the off. 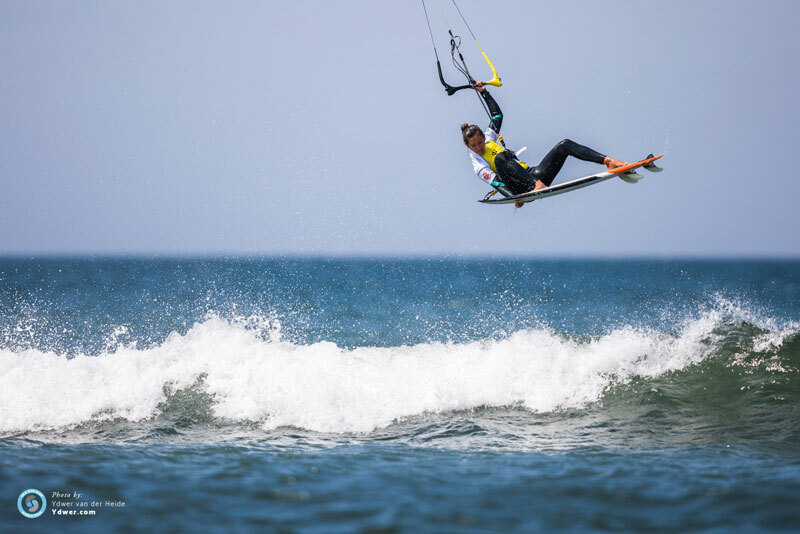 Both Jalou Langeree and Moona Whyte, the tour’s two top ranked riders, are far more focused on wave riding but they’ve been training their strapless freestyle and it showed today. 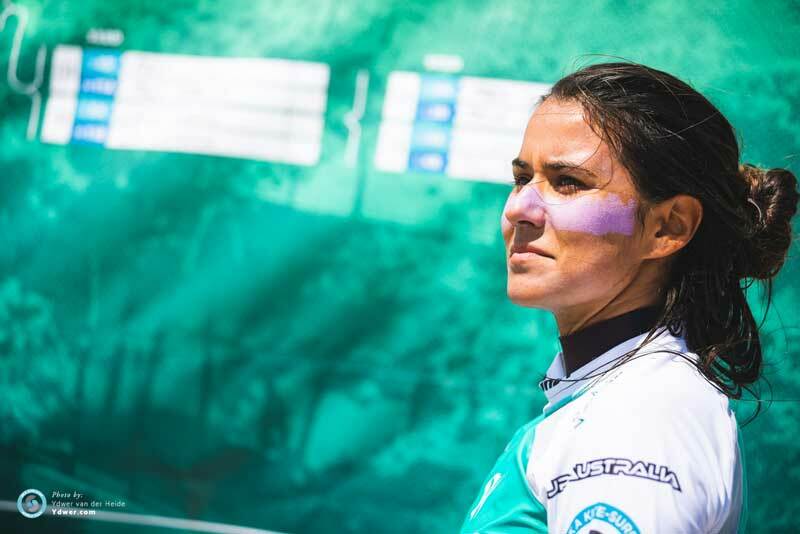 At the start of the season, Carla Herrera Oria had been the only female rider really pushing the freestyle element of her riding but now Moona, Jalou and Ines Correia have levelled up and Carla no longer has the monopoly in that area. 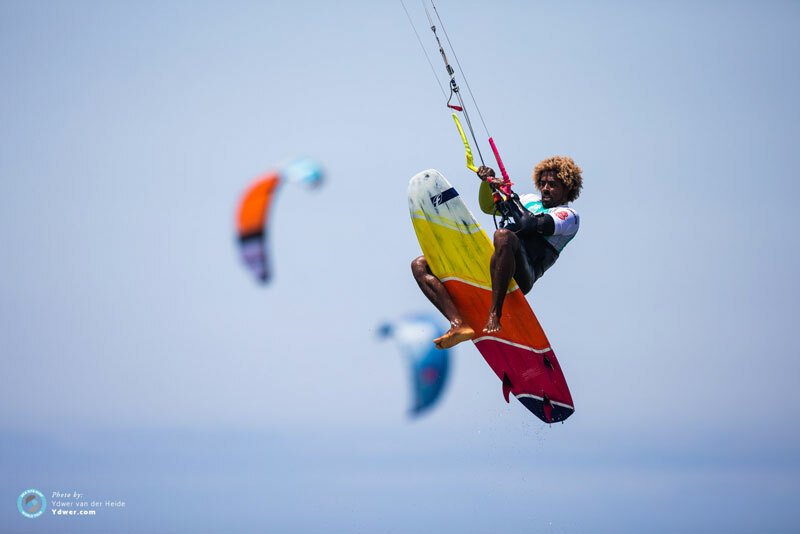 In fact, Moona and Jalou’s strapless freestyle ability is now so improved that they booked their fourth final heat of the season against one another in the single eliminations with Moona taking the win which put her in a strong position ahead of the doubles. 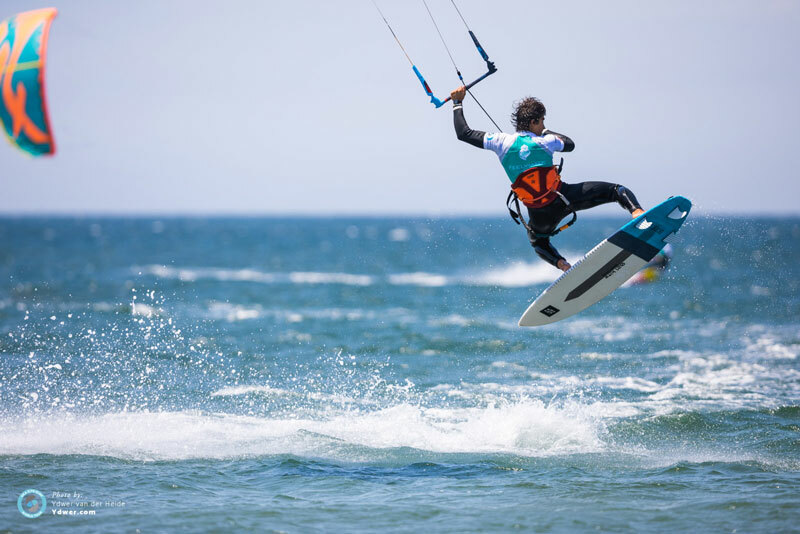 With an entire event full of heats to get through (and one day in which to do it) it was then straight into the men’s division with the riders competing in eight minute heats, again with a 100% focus on strapless freestyle. Brazilian chargers Sebastian Ribeiro and Pedro Matos showed early in round two how their winter strapless freestyle training has paid off (Pedro won his first heat with a super-strong performance and he’s only been training freestyle properly for a year now) and then Mitu Monteiro exploded into the event with the biggest rodeo air of the day so far! 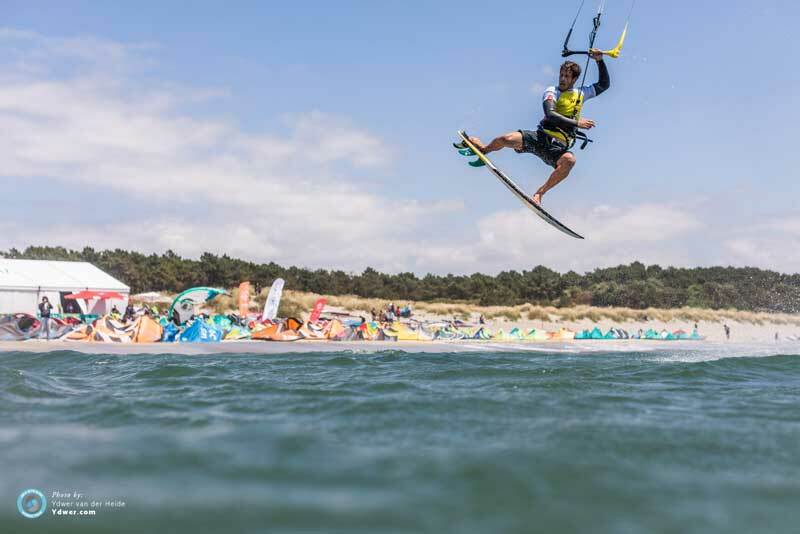 Matchu Lopes also had a strong first heat and he was clean, composed and near faultless in a tough match-up against tour rookie Rafael Da Souza. This is Rafael’s first event on the KSWT so it was a baptism of fire as far as first heats go but he pushed Matchu hard (even Matchu said so!) and earned himself the ‘Best Rookie’ award for his efforts. 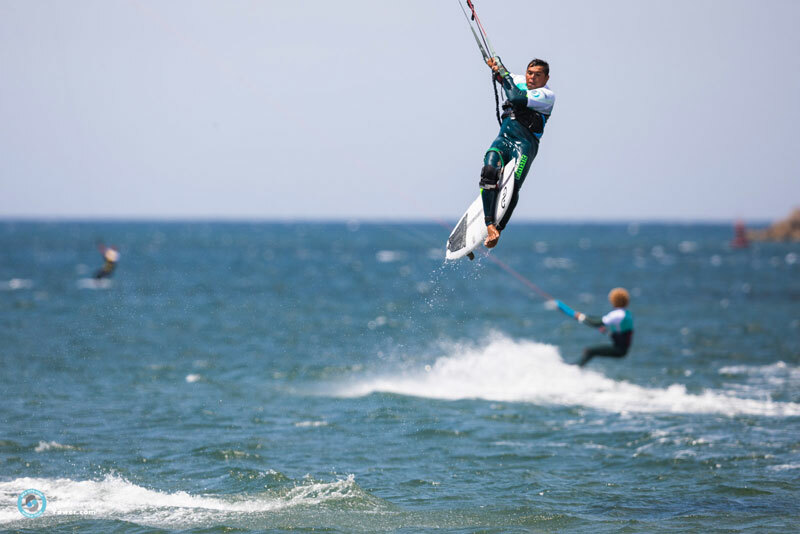 When Airton hit the water in the round two he broke out the first handlepass of the event and stomped it clean! The wind was ratcheting up and it was only going to get stronger. 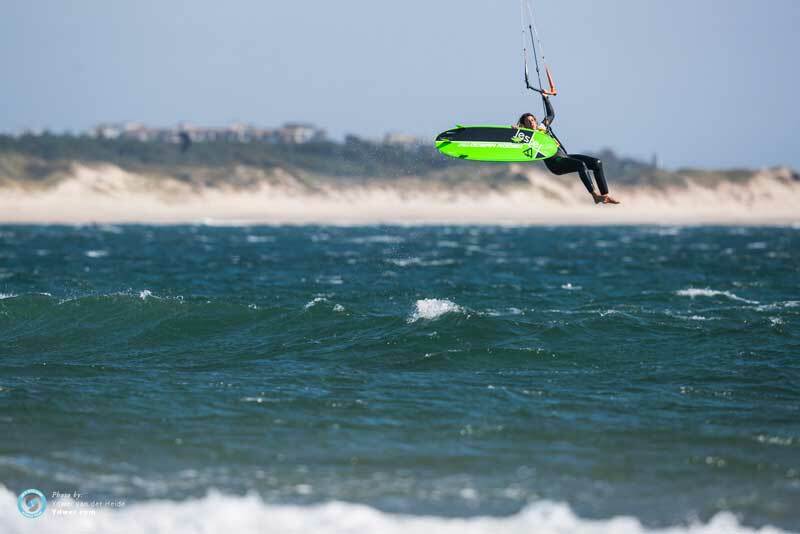 Airton deals well with punchy conditions – was it going to be his day once again? 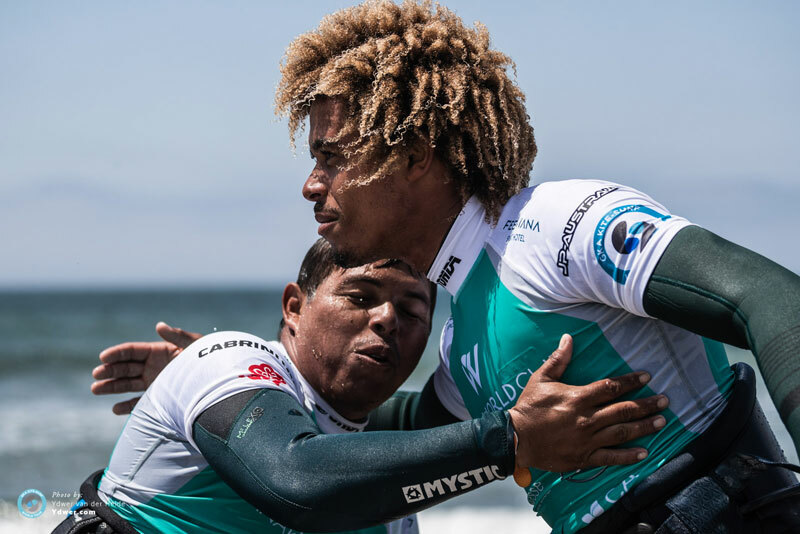 From round three the men’s field began to thin out and, by the time the semi-finals came around, it was down to just four of the tour’s heavyweights – Keahi, Mitu, Matchu and Airton. Any one of them is capable of winning a final, so this was going to be tough! 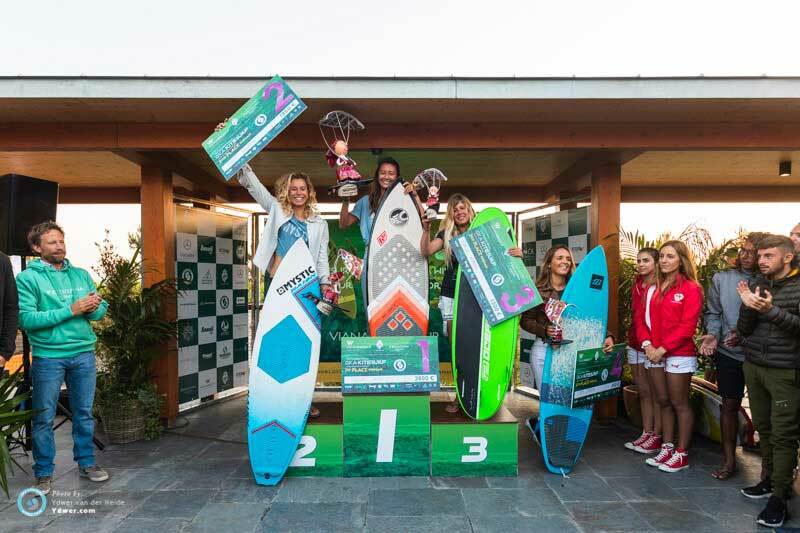 The heats were super tight, but Airton pulled ahead of Mitu with some of the biggest airs of the day and Matchu beat Keahi with the first triple frontroll ever landed in competition to claim his place in the finals against Airton Cozzolino. 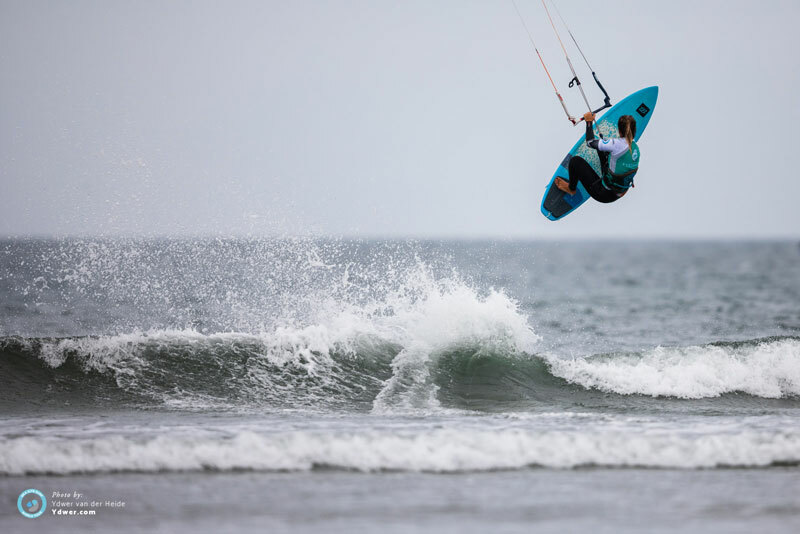 If felt a little like a flashback to the 2017 season, during with Airton and Matchu met in a number of finals, and Airton opened with a backloop tic-tac kiteloop and he was going huge as the wind ramped up even further. Matchu wasn’t to be deterred though. He answered back with a barrage of his own brand of freestyle trickery including a double front shuvit, leaving everyone on the beach guessing who must have clinched it. 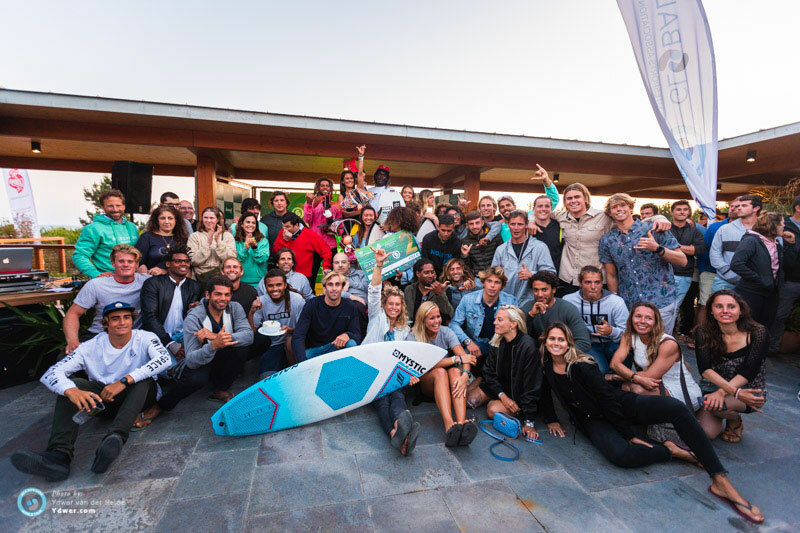 However, while it wasn’t to be announced until the closing ceremony which would take place after the women’s double eliminations, it turned out that Matchu had done enough to seize the day! 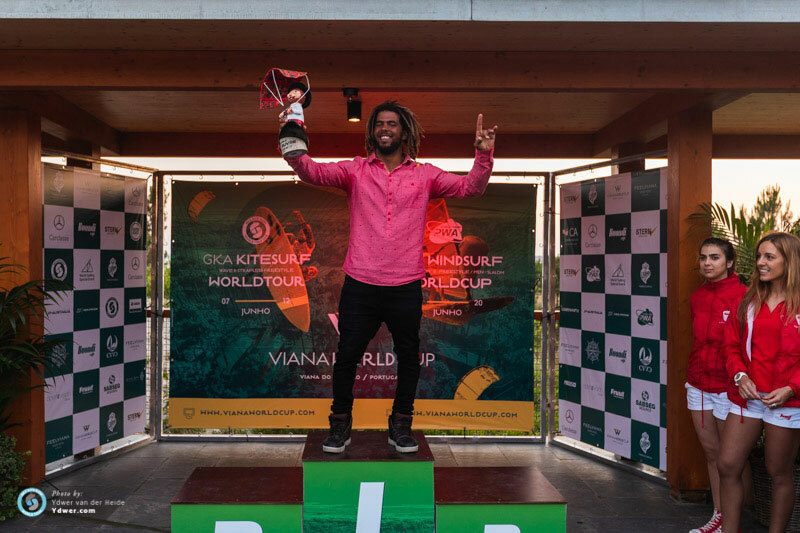 It’s a massive win for him after a couple of lacklustre events so far this season and he’ll no doubt be stoked with his performance. 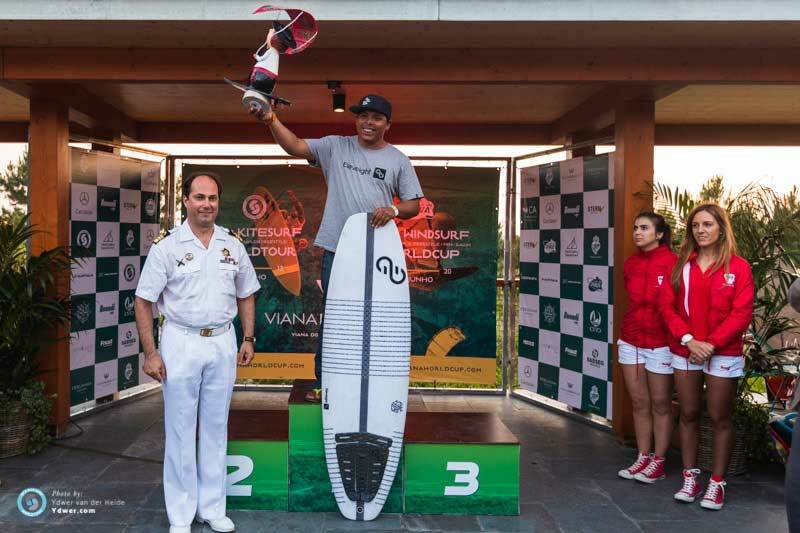 Keahi took third after a very tight heat against Mitu and, while Mitu had been going big all day, Keahi’s smooth, methodical approach allowed him to rack up the points ahead of Mitu to clinch the win. 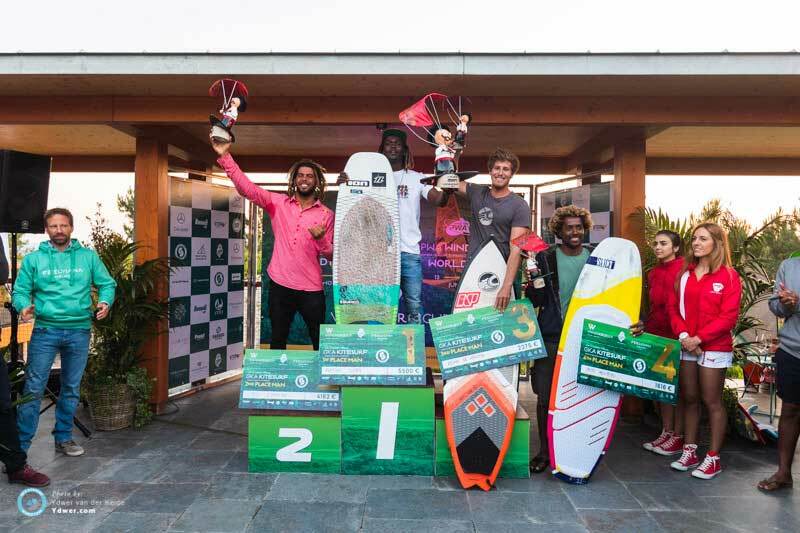 Keahi will no doubt have been disappointed not to have had the chance to take on Airton or Matchu in the main final but he still retains his second place position overall, so you can expect him to come charging out of the gates when the tour touches down in Tarifa in just a couple of weeks from now. 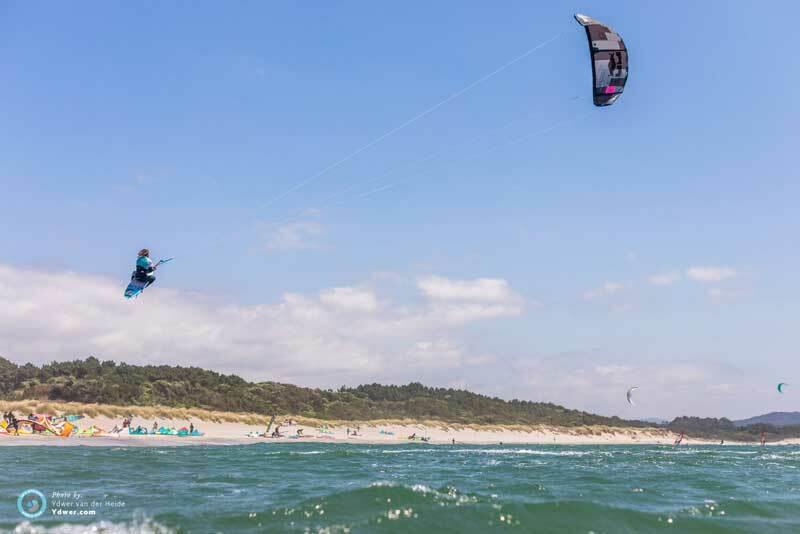 By this point the wind was really ramping up, with most of the women riding their smallest kite sizes. F-One team rider Charlotte Carpentier impressed the judges with a solid technical level, earning herself ‘Best Rookie’ and ‘Best Trick’ for her pop shuvit three, and Ines was pushing hard to make good on her promise of finally beating Moona and Jalou but it was the top two – Moona and Jalou – who would make it to the final. 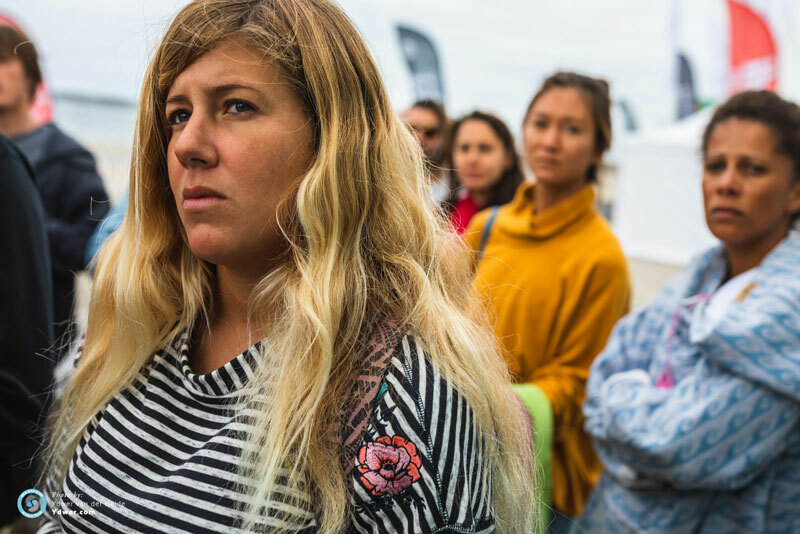 They both struck early with smooth varial airs and backrolls, and were going trick for trick throughout the heat but Moona was just that bit more consistent and sealed the deal. 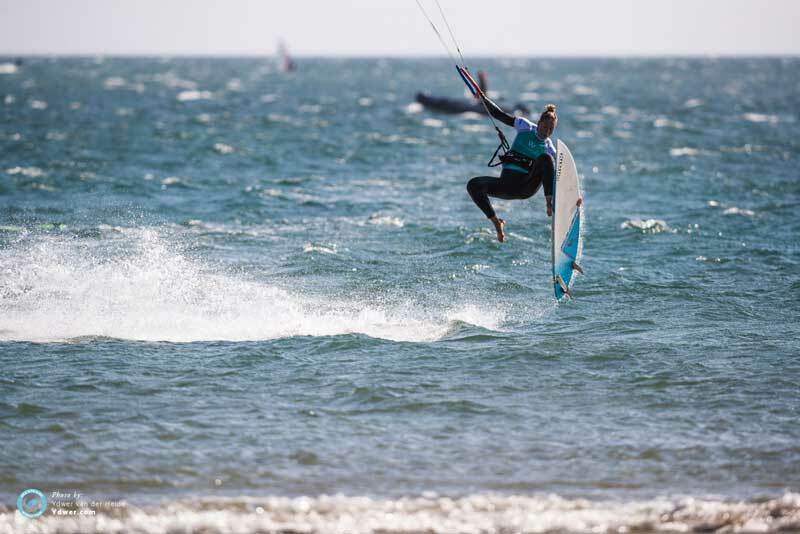 This means that she now pulls ahead into first place overall for the second time this year and, speaking after, she admitted that she was justifiably stoked! 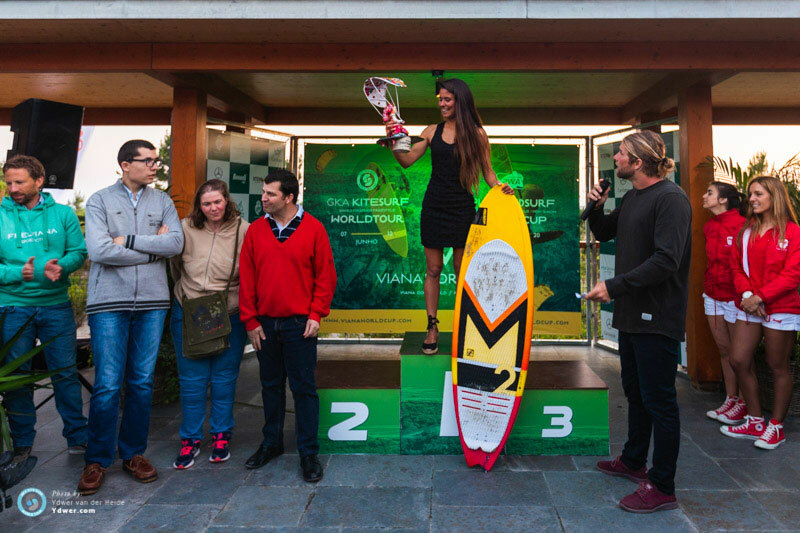 Ines had ridden well all day landing some impressive tricks including board-off backrolls but Carla Herrera Oria managed to pull ahead of her in the double eliminations to seal the deal and take third place. 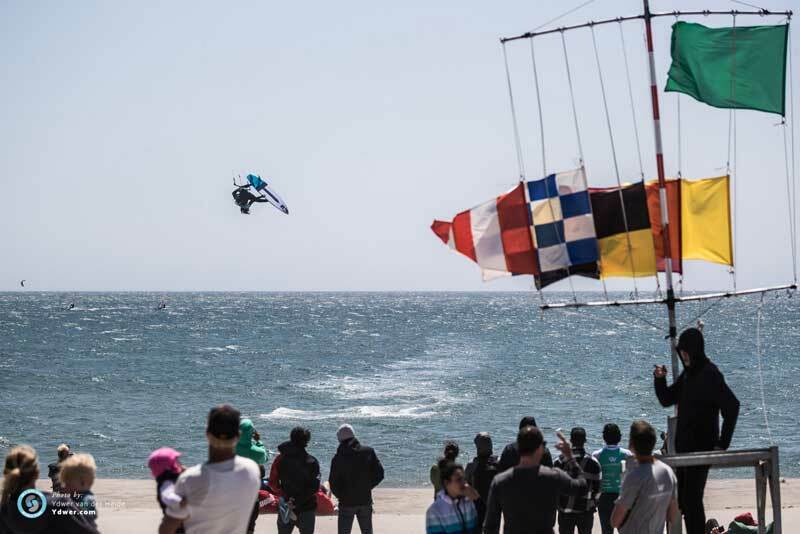 So it was full-tilt on the final day here in Viana do Castelo but, after a challenging week, the riders and crew will no doubt be stoked to walk away with a result after a week spent on tenterhooks at the mercy of El Nortada! 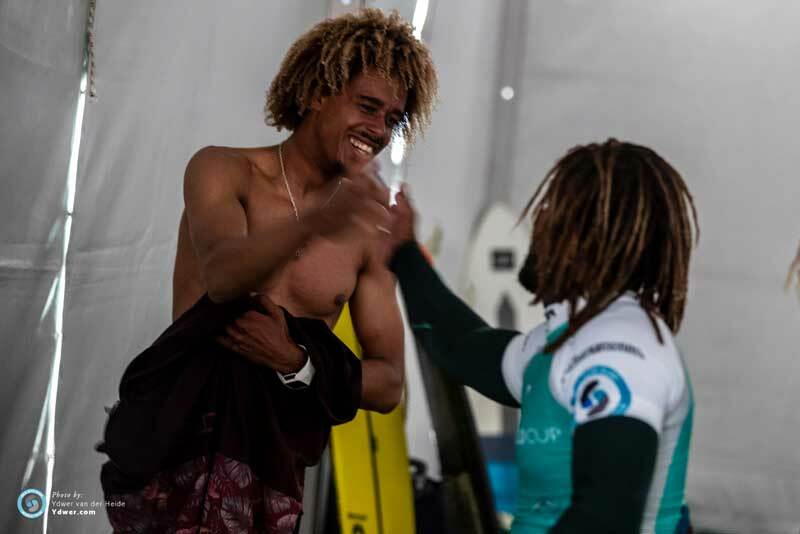 Check the video below to see how Matchu reacted to stomping his triple front roll – trick that propelled him to the final. 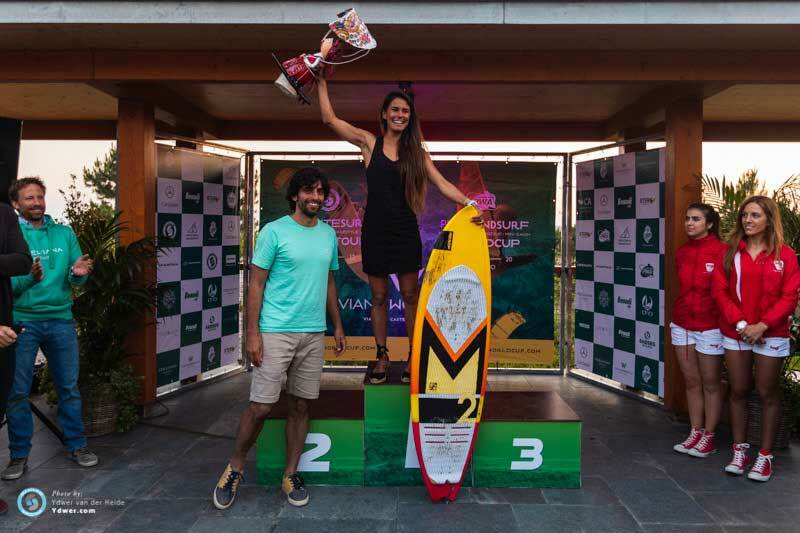 1: Matchu Lopes (ESP/CV) - That's not Matchu - his prize was collected by a friend!